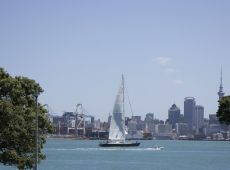 The Waterfront Room has a super-king bed, stunning views to the south and west of Auckland City and harbour. 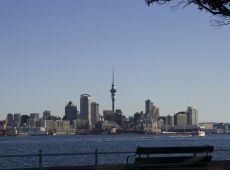 To the north you can enjoy views of Mt Victoria and our heritage area. 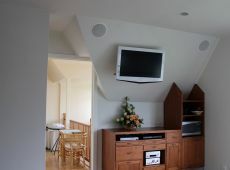 The room has a large ensuite with heated towel rail and mirrors, dressing room, plus a generous warm balcony. Breakfast is included and chosen from our menu but we also try to accommodate any special requests and we can serve it at a time to suit you. 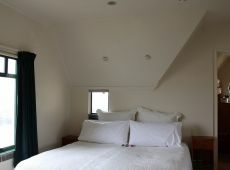 This room is NZ$275 per night for two people.